One of the dreams of many married couples is to buy a home of their own. This can be one of the most wonderful moments of your life, or it can be a nightmare that will take years to recover from. Here is a little home-buying advice from a former real estate broker and a guy who trained over 700 real estate agents - me. I know what you're thinking - this is something that I will have to answer for on Judgment Day, and I believe that you are right. The real estate industry has a language all its own. Your real estate agent will describe the home's features in accurate terns, and then you will the responsibility to interpret what each of those descriptions mean. A house in "an established neighborhood" might mean the neighborhood is old, may be run down, and that therefore property values could easily decline in the future. A house in a "new development" means that there are probably no trees and there will be more homes built in the neighborhood in the future and you will have no control over how larger or small or goofy-looking they may be. A "cozy kitchen" means that it might be large enough for your wife and you to eat in, but if you ever have guests, it's too small for everyone, so someone will have to eat off of TV trays in the living room. A "winding staircase" probably means that you won't be able to haul furniture up it because of the twists and turns and you'll need to bring the furniture in through an upstairs bedroom window. A "comfortable den" means this was once a bedroom that was too small to be a bedroom so they use it as a den. A "full bathroom and a half bathroom" means that only one bathroom has a shower, so if you have guests or later on have a family, everyone will have to use the full bathroom to shower. A "spacious 6' by 10' storage shed in the back yard" probably means that the garage is too dinky to hold anything but a car or two and you need a shed to hold the rest of your stuff. 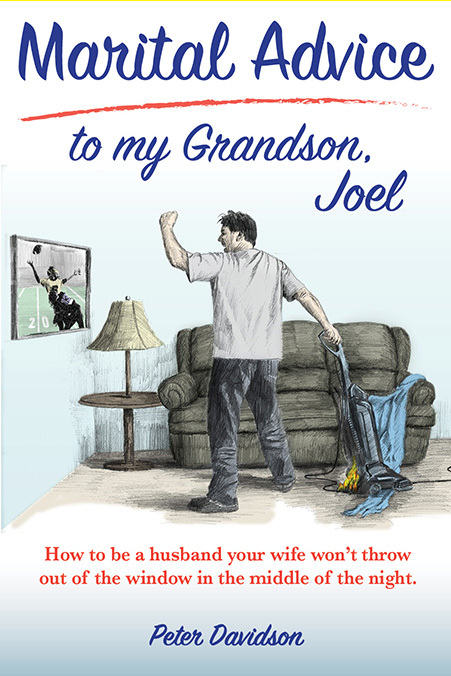 There are a lot of great books on the market that give wonderful advice on things to do and not do when buying a home. I'll boil this down to just two suggestions that will keep you from financial and personal disasters. 1. Sure, you'd like to have a house on the lake with a pool, hot tub, five bedrooms, six bathrooms, gourmet kitchen, dining room that will seat thirty, bowling alley, and eight stall garage. There's only one rule here: If you've got the money, go for it. If you don't have the money, don't fool yourself. 2. This is the most important rule for a man contemplating to buy a home. 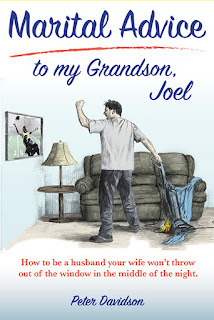 This advice is worth several times the price of my book, Marital Advice to my Grandson, Joel, so pay careful attention. DO NOT buy a home that does not have your wife's full, complete, one hundred percent approval. If you insist on buying a home that she doesn't like or want or if you even try to subtly influence her decision, you will pay for it every day that you live in that house, and we're not talking about money. And, know what - you'll deserve your punishment because you ignored my sound advice. That's it. Happy house hunting!